Qt Designer is an excellent tool to preview style sheets. 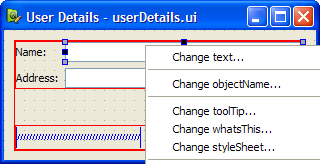 You can right-click on any widget in Designer and select Change styleSheet... to set the style sheet. In Qt 4.3 and later, Qt Designer also includes a style sheet syntax highlighter and validator. 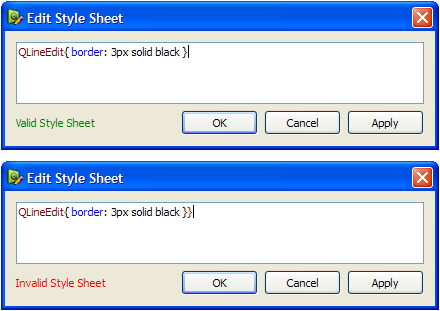 The validator indicates if the syntax is valid or invalid, at the bottom left of the Edit Style Sheet dialog.